Okay. I really want these. I kind of appreciate the "goofy" nature of the stories and situations portrayed on the back of the cards. I will probably get all of the basics and any deluxe figures that are unique characters. I take it, by the card backs, Joker will be a deluxe? Am I seeing that right? Hey PJ you wouldn't happen to collect the DC Superfriends Hero World figs do you? I was wondering how the Penguin looks next to these. I do but the Penguin is the one Batman character I didn't get. I do want to take a pic of him next to the "The Batman" Penguin as I always thought he was too big for that line and think he might fit well with this one. Oh good call! I will have too grab that Penguin from my apartment next time I'm home. Killer Moth might be a good candidate too. Here's a quick fix up I did to my extra Battle Gauntlet Batman. I felt he needed the black trunks. 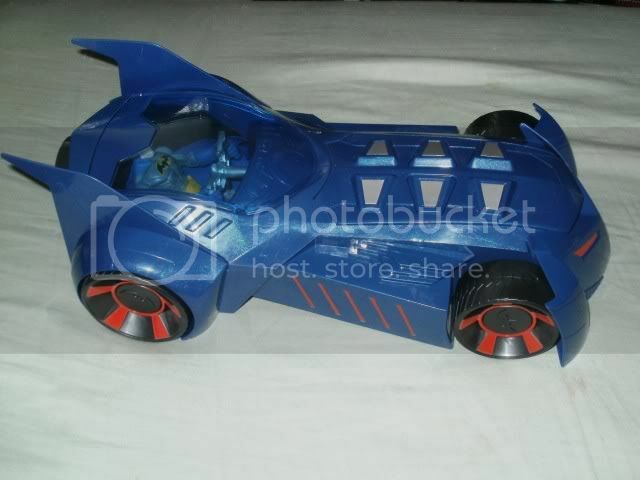 When I ordered them I had hoped the "Saw Slash Batman" was the normal Blue & Grey "Duel Blade Batman". 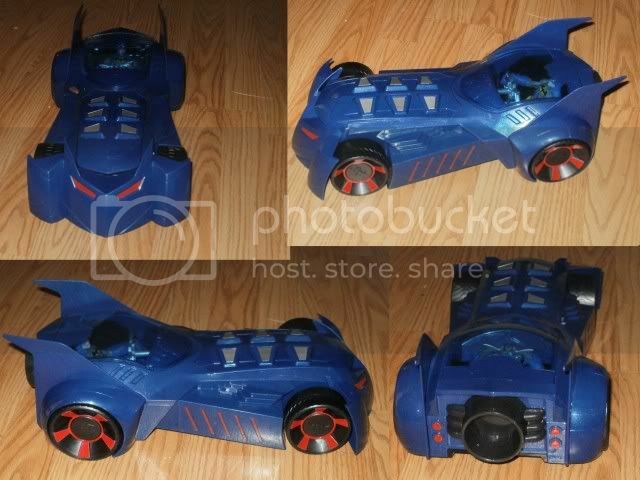 The blue/gray Batman is listed on Amazon as "Duel Defense Batman".I ordered that one along with some others. Are you sure? Because there's a deluxe called Duel Defense (It's pictured on the back of the Deluxe Sawk Slash box and on their mattel Shop site) And Amazon is selling the deluxes and Basics at the same price. (at least they were when I ordered mine) Either way I picked up the whole set at Target the other day. Now I just need to find the batmobile locally. For those paying attention to releases, my local Meijer had pegs set up for these and the DKR figures, but nothing was on the shelves yet. 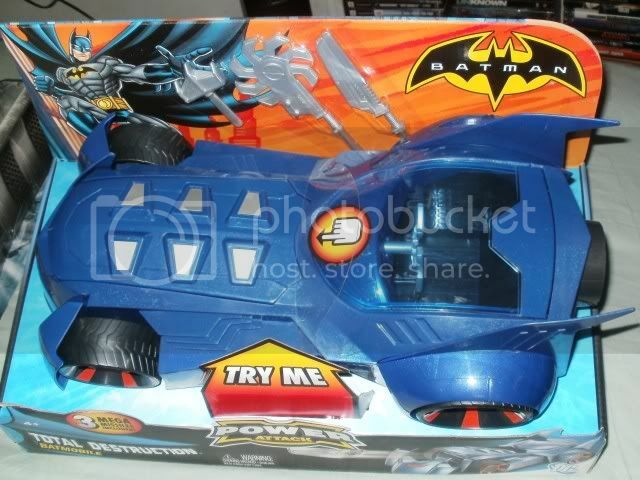 Just going by what I ordered.When I ordered the "Duel Defense Batman",I received the blue/gray "Twin Blades Batman".All the others had correct name listings for Robin,Killer Croc,and the "Thermo Armor Batman".Could not find the "Duel Defense Batman" on Mattel's Shop sight.They just had "Cyclone Kick","Saw Slash",and "Turbo Punch" deluxe figures when I looked.Oh,well. 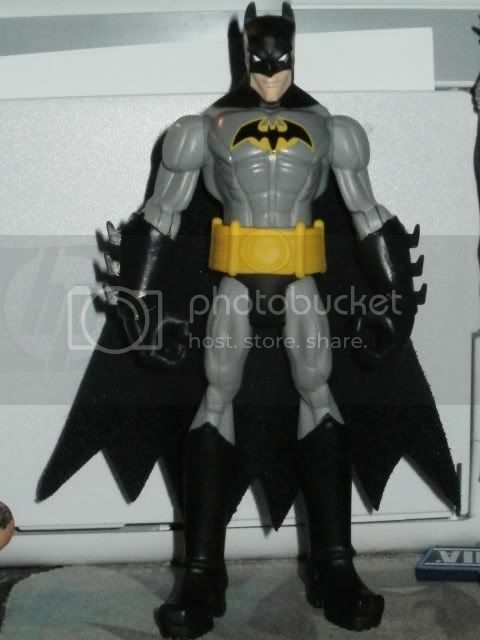 I received the black & grey "Battle Gauntlet" Batman from Amazon, but he was listed as "Crime Crusher" Batman. Now I'm not sure where I saw Duel Defense as he was pictured as the one that is called Cyclone Kick now. I received the black & grey "Battle Gauntlet" Batman from Amazon, but he was listed as "Crime Crusher" Batman. Hmmm,I may have to try and order that one from Amazon and hope I get the "Battle Gauntlet" figure.Have been looking for that one,but could only find it on eBay,and I'm not paying the prices they are asking.If I get it great,if not,will keep trying.Thanks for the info PJ. 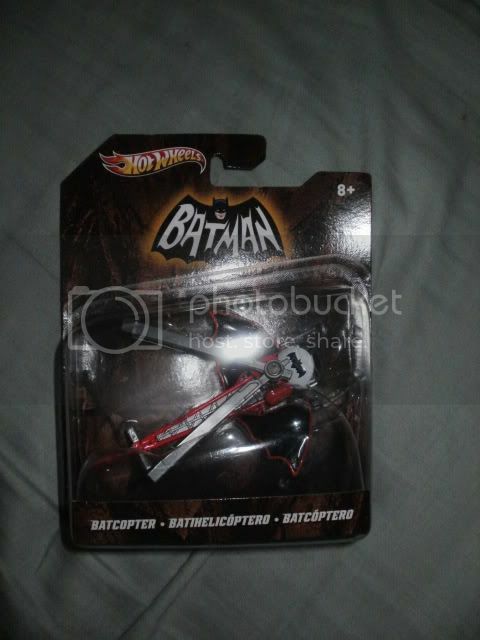 Today while out looking for the Power Attack Batmobile (without any luck) I found the 1:50 scale 60's TV Bat-Copter at Target. The dpci is 087072008. And it looked to be 1 per case...Meanwhile the Batman Returns Penguin duck car was 2 or 3 as was the Returns Caccooned Batmobile. 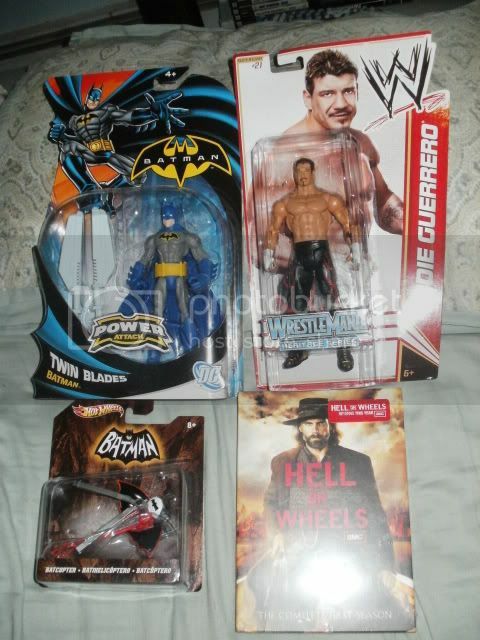 Today's Purchases - DVD & Bat items were from Target and the WWE Eddie was from Walgreens. Last edited by PJ on Wed May 23, 2012 9:58 am, edited 2 times in total. got Killer Croc, Robin, and Batmobile via Amazon. Went to two Target with the UPC code, they have it in stock but won't pull any or sell even one figure to me, street date is 27th. Here's the Batmobile I finally found at TRU today...of course yesterday I gave in and ordered it from Mattelshop.com with their 20% Memorial Day sale. lol I'll keep both and eventually paint the other black and silver like the proto was.